Your diet is extremely important for good health. Unfortunately, a lot of people ignore a good healthy diet. As a result, their health my suffer tremendously. Below are five major signs that your diet may be causing a dangerous health situation for you. There are presently diets that promote extremely low calorie intake. Not only are these diets hazardous and won’t endure a lengthy period for weight loss, they can also fall short in their effectiveness. When the body perceives itself as being starved, it will do everything to preserve overall health. It will store all of the calories that are consumed. To make things worse, very low-calorie diets can cause feelings of hunger which initiates binge-eating and more junk food consumption. Carbohydrates, proteins, and fats are all necessary for optimum health. When one of these is eliminated or severely reduced, the diet becomes unsustainable. 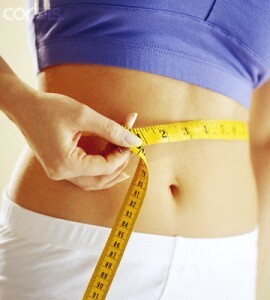 The goal of permanent weight loss is hampered, and the diet is extremely limited for long periods of time. If you hear about a diet that touts a quick weight loss in a short time, or a quick-fix diet pill, don’t even get involved. When it comes to dieting, there are no quick fixes. They just don’t exist. Also, you have to be careful with diet pills, as there used to be some very dangerous ones sold over-the-counter. Some of them cause high blood pressure and other dangerous symptoms. There are certain diets that declare extreme weight loss in a short time period. There is no doubt that you can lose a significant amount of weight within two or three weeks of beginning a diet. But this is only partially true. It is water loss that causes most of the drop in weight. Many prepared foods contain poor ingredients, especially unhealthy fats. These oils are sources of trans fatty acids (TFAs), which increase the risks of cardiovascular disease and cancer. TFAs may also destroy cell membranes, and the lower the capacity of the immune system to function properly. i.e. If you stop eating milk products, it could make it harder to lose weight naturally. A recent study from the Nutrition Institute in the University of Tennessee at Knoxville which was published in the Journal of Nutrition figured low-fat dairy products may help control excess fat. Lead researcher Michael Zemel says that the diet rich in low-fat dairy foods can change the way the body’s fat cells get the job done. And you? What do you think are the most dangerous signs of a diet? As a full-time career oriented mother of one, I love to chat and write about topics that matter to me in my life. My day has to starts with a cup of joe and usually ends with exhaustion. I have a passion for cross stitching and of course spending time with the kiddo. I am always on the look out for topics to write about like recipes, healthy living, and products I find fascinating.